The New Year 2019 is approaching and the usual question arises: “what to do on the last day of the year?”. A question that may seem difficult to solve if you have children with you. No problem, this article will provide you with many interesting ideas and original ideas and fun to spend a New Year with children for the whole family. From a party with princesses and superheroes to dinner organized with menus for your children, to theme villages and holiday packages: let’s discover all the many offers to spend the last evening of the year with the children and your loved ones! Have you ever dreamed of finding yourself face to face with the most powerful SuperEroes and the Kingdom Princesses? 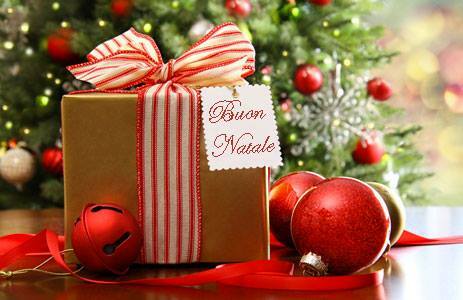 The New Year’s Eve in Toscana is dressed with magic, with a Special Veglione dedicated to families with children. The Grand Ball of the Princesses and the arena of the SuperEroi awaits you in Montecatini Terme in Toscana with many incredible emotions. Many special animators will take care of the little ones giving to Mom and Dad a few moments of relaxation! You will also experience the thrill of a warm hug in the thermal waters. A completely covered and heated structure, with an excellent and exclusive service. To ensure maximum well-being, they can access the thermal pool, maximum 25 people per hour. We recommend booking well in advance. Curious riddles, unfaithful inventions, bizarre intuitions and lots of fun. Would you like to experience a New Year in Toscana in the company of Leonardo da Vinci? The Genius Stravagante and his intrepid aide ZoroAstro, will lead you into surreal atmospheres in the heart of Toscana, between works of ingenuity, fascinating landscapes and oddities of all kinds. The experience begins Sunday, December 30, 2018 (you can add an extra night with arrival on Saturday) until January 1, 2019 with a succession of emotions entirely dedicated to families with children. During the 2 dinners, the Kids Areas will be present where the children will be entertained with professional entertainers. – New Year’s Eve dinner on 31 December 2018 with Party Leonardo Experience. Are you looking for an imaginative and exciting adventure for New Year 2019 with your children in Rome? There will be 3 days and 2 nights of pure amusement between Centurions and Empresses, Princesses and Superheroes and (hearing) a special entrance into a Magic Castle where you will meet Santa and the Spiteful Elves! Free Bimbo with less than 36 months. 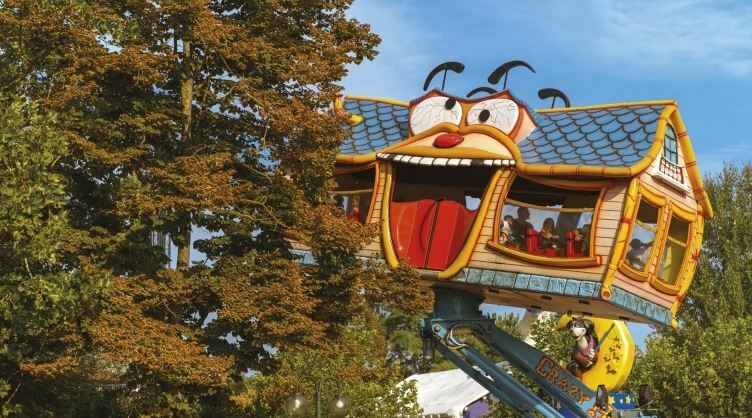 There is nothing better than a “playground” to stay in the company of their children, so, let’s move virtually to Gardaland, which is located in Castelnuovo del Garda in the province of Verona. An explosive party will be organized to spend a fabulous New Year with children and with the whole family. Among music, bright balloons and multicolored glitter the New Year’s Eve will be tinged with a thousand colorful colors to light up the night of December 31, full of magic and fun. We will organize a wonderful dinner at the end of the year for adults and children, with entertainment and sparkling entertainment for everyone. Boutique for your gifts and an excellent restaurant inside the park with the possibility of staying overnight in the area. If you want to give yourself a truly unique and unforgettable New Year’s Eve, I suggest you go to Rovaniem, Finland, where Santa Clause Village, Santa’s annual “residence”, is located. Between elves, spells, restaurants and other organized activities, you will spend a fabulous holiday in a fairy place that smells of magic for adults and children. The only drawback is that Rovaniem is not exactly around the corner, so if you are looking for a more affordable and less expensive solution from an economic point of view, you can always go to one of the many Santa Claus villages in various towns and villages. ‘Italy. To spend a new year with children in the name of outdoor fun, you can spend a wonderful holiday in one of the many farms that from North to South we find in our country. From those facing the sea to those that hide in the hills, in the woods or in the mountains of our country. Visit our page dedicated to the New Year’s Day in the Farm where you will find some interesting offers for the period of New Year 2019. Arm yourself with snowshoes and poles and with your children you can take quiet walks in the mountains. Sunday, December 31, 2018 we start at 10.00 for a snowshoe tour organized by the Alpine guides of Bormio. But it does not end here for your children. In Valdidentro for the last Sunday of the year there is a fun program called “The Penguins of the South Pole” starting at 14.30. A Snow Party with animation on the snow. For the New Year 2019 in Sicily we offer a truly original initiative: the Island Tour in Camper. The tour, which will take place from December 27th 2018 to January 6th 2019, will start from Civitavecchia and cover the whole coast of Sicily, stopping in suggestive locations like Palermo, Segesta, Selinunte, Agrigento, Piazza Armerina, Syracuse, Taormina and other places. In Sicily, in winter, the climate is not particularly rigid and often offers spring days. On board a camper, the participants will enjoy magnificent views with splendid views like cliffs that slope towards the crystalline Sicilian sea, villages, natural parks and cities rich in history and tradition. Children will not have time to get bored and enjoy an exclusive New Year’s Eve. And do not forget to savor the Sicilian cuisine and especially the desserts that children will love with joy. For info and reservations go on New Year’s Eve in Sicily. At Kinetic World you can start an exciting journey, together with your children, among thousands of attractions that appeal to the world of Cinema and Television. An amusement park for all ages, discovering alien worlds, gladiators and gunslingers in an evocative journey where reality leaves room for imagination. You will meet Ben-Hur, cross an Indian jungle or take the shuttle from the Moon base on the Sea of ​​Tranquility to the Ares colony on the planet Mars. These are some of the attractions you will find visiting the park. A New Year’s Eve 2019 with a very rich program with the park open from 6 pm to 8 am for an unforgettable New Year’s Eve. For children there are dedicated shows, games, with the Sognolabio area open until 11:30 pm; baby-parking is offered in the GiocArena area. Also this year the Genova Aquarium offers the public a very special dinner and a ball that will allow guests to immerse themselves in the enchanted atmosphere of the sea floor. There is entertainment for children, but the presence of sharks or morays will be enough to attract their attention to that underwater world to make them happy. It will be a special evening that includes: an exclusive visit to the Aquarium to discover the night life of the guests of the tanks, dinner buffet with menu in the wonderful setting of the Cetacean Pavilion, and to finish special animations and celebrations with the opportunity to toast to the arrival of the new year on the external deck of the structure with a striking panoramic view of the city and the Old Port. 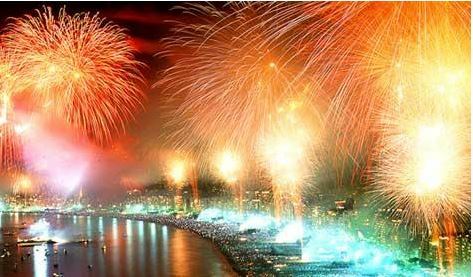 See the article on New Year’s Eve in Genoa for info and reservations. If you are looking for a New Year’s Eve dinner in Palermo you have come to the right place! At Palazzo Leone, an enchanting location on Via Lincoln 48, you can celebrate your New Year’s Eve with an extensive fish menu. This will be a reserved and exclusive evening with a number of participants limited to 80 people and a reserved area with an entertainment service for children. No entry will be allowed after midnight. The building stands on the land donated by Count Rinaldo De Mohac to the Church, as evidenced by a document dated 1194. The construction of the building dates back to the early 1800s but the central part has a much older date as it incorporates what was probably a sighting tower already existing at the time of the donation made by the count. The ancient building, abandoned and decadent for years, has recently been recovered by the descendants of the De Mohac family. Careful and meticulous restoration work has allowed us to bring the structure back to its former glory and at the same time to adapt it from a technological point of view, making it an ideal location for any type of event. On the ground floor of the building the halls, of about 300 square meters, characterized by particular stone arches and vaulted roofs and elegantly furnished, lend themselves to the organization of any occasion. For info on the menu and prices see dedicated article New Year at Palazzo Leone. And finally, another suggestion is to spend the evening of New Year 2019 with your children at the medieval castle of Pavone Canavese, in the province of Torino. The children will be fascinated by the ancient walls of the castle and the clothes worn by the evening entertainers. Before and after dinner the children will have enough time to play with the characters of the castle of the time. On the other hand, who has never dreamed of being a knight or a princess? The evening, organized by the historic group Burgo Turris, costs € 85 for children between 4 and 12 years and includes in the price dishes and drinks. For more info on the evening For more info on the evening read here. If your children, children or teenagers, are passionate about cinema, the New Year’s trip to London organized by the Ragazzi e Cinema association is for you. Their New Year’s Eve 2019 package includes: travel by coach from Rimini, Bologna and Milan, sightseeing tour of London with overnight stay at the hotel and visit to the Warner Bros Studios, where the films of the Harry Potter saga were filmed. All at a cost of € 410 by 30 September 2018. For more information and reservations, visit the dedicated page on the site of Ragazzi e Cinema. If you want some more ideas on the last year in London, you can take a look here. The web is now one of the main promotion and sales channels. For this reason, whoever manages an activity must necessarily think about their digital presence, structuring a website and maybe even opening a facebook page. In particular, through these channels and social media, you could increase your customers and make yourself available to a new market share. Facebook pages, for example, are an excellent tool for retaining customers and acquiring new ones. Furthermore, opening them is very simple. All you have to do is follow the instructions provided by the same platform and in a short time you will have the facebook page of your restaurant ready to be managed. At this point, however, the hardest part arrives. Managing a facebook page in a winning way is in fact anything but simple and obvious. We need a real marketing strategy, which must be carefully planned and entrusted, if possible, to experts in the sector. 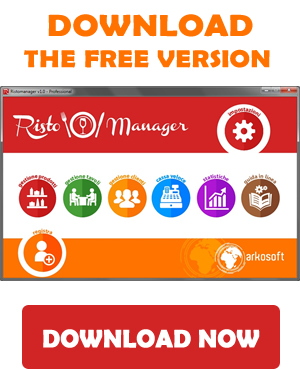 Download ristomanager and find out how to best manage your restaurant! Between optimal management and bankruptcy, the border is very thin and sometimes a small mistake is enough to compromise the image of the business forever. If in fact gaining a good online reputation is very difficult and requires time and dedication, to ruin it is enough a badly managed response to the negative review of a customer. Before identifying the golden rules for managing a restaurant’s facebook page, let’s see the mistakes that should be avoided. It may seem obvious but it is not at all. Often, in fact, especially if the Facebook page is entrusted to people who are not properly trained, it is easy to come across publications that concern the owner’s personal interests, irrelevant events and other information that has nothing to do with the activity. In these cases it is difficult to distinguish the page from a personal profile and what will emerge will be only a lack of professionalism. Managing a Facebook page is an activity that requires time and dedication and that can not be limited to the occasional publication of content. Of course we must not fall into the opposite error, but keeping the page updated, with 2-3 posts per week, is essential to not lose the interest of fans. One of the thorniest aspects of managing a Facebook page, especially if it is a restaurant, is that related to reviews and negative comments. In these cases, it is good to count to ten before responding. An impulsive response, and therefore poorly managed, is in fact a sign of touchiness and denotes only a lack of professionalism on the part of the restaurant and its staff. The advice is to plan standard responses in which the restaurant takes responsibility and responds with criticism to customer requests. After identifying all the possible mistakes that could damage the image and reputation of the restaurant, it is also important to know the golden rules to better manage the Facebook page of your restaurant. The editorial plan is a tool that allows you to create a programmable content grid that is always available to keep your page active and to retain your customers. This way you will avoid occasional and irrelevant publications. Of course, your ability will be in identifying those contents (photos, links, etc.) that can attract and engage the users of the page better. The creation of an ad hoc editorial plan will also include the promotion of the page through the creation and management of advertising campaigns. To do this you can rely on the tools ,available by the same platform, the Facebook ads. In this way, you can reach more people, increase your community and even get a few more bookings. Finally, one last golden rule is to create a sort of space with all the indications to respond to possible criticism and reviews in a cordial manner. In this way you will contribute to improving the image of the restaurant, showing availability and professionalism, qualities much appreciated by customers. The New Year’s Eve represents a true tradition of Italian culture. Among the most popular are those that are organized by clubs and restaurants, which offer menus with different price ranges, suitable for all budgets. Spending the New Year’s Eve in a restaurant or in a club will avoid extra housekeeping and you will enjoy an excellent dinner waiting for midnight. New Year’s dinners on the premises are transformed into real show-events, with various performances by different artists that attract the audience with their performances. As an alternative to the restaurant, there is a New Year’s Eve dinner at home, perhaps more challenging but more in line with the Christmas style. The menu is usually based on fish as tradition dictates, which among the typical dishes includes risotto with fish, fried king prawns, the mussel , spaghetti and clams etc. Meat lovers can console themselves with the boiled mixed scent, the chicken broth and the timeless Chinese cote with lentils, usually served at the end of the dinner . Reinforced salad and stewed lentils are classic side dishes that can not be missed. If you are fascinated by the bucolic atmosphere you can book a dinner at a farm, where genuine menus are served with ingredients of own production and km 0. There are many cultural, sports or motorcycle associations that organize a real cultural exchange in the kitchen where everyone engages in the specialty of his land. For those who wait for midnight in the Italian squares, the dinner will be anticipated. We recommend Ristomanager to ensure perfect management. Interesting ideas can be at the spa, or at the theater, in other cultures New Year’s Eve is celebrated in a castle, in the disco. 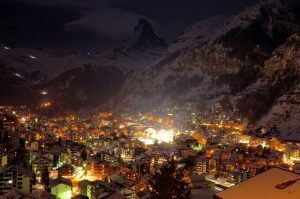 Many will spend the New Year in the mountains or in the beautiful Italian squares, Dinner + disco, Dinners with crime, New Year’s Concerts and even in Cruise. Ristomanager and the Arkosoft staff wish you a Merry Christmas! RistoManager wish you a Merry Christmas and a Happy Holidays we hope that this Christmas you will spent with your loved ones / family, our gift for you is 10 coupon codes to be used on our website. The codes are used to purchase a Professional or Advanced license, enter the code and you will get a 30% discount on the selected license !!! enter one of the discount codes indicated above, in Automatic it will calculate the Applied discount. We wish you a Merry Christmas again! Between apps and social networks, the economy is increasing in digital way. And so also all commercial activities are forced to adapt. Even a restaurant can not fail to have a website, the facebook page or the instagram profile. In some cases it is also necessary to register and place your business on special platforms that can promote it and make it more easily known to the public. A restaurant must therefore also be digital and move easily in technology, using the most appropriate tools to improve and optimize management. This is now a crucial aspect for any catering business and, if neglected, risks leading the restaurant to a safe bankruptcy. Excluding your restaurant from the digital world is in fact anachronistic and can no longer make sense, where most purchases and bookings are made online. That’s why, if you want your business to best express all the potential and be successful, you’ll have to ask just one thing: how digital is your restaurant? To understand this, you just need to look at three main aspects that are indicative of a digitization and modernization of the activity. One of these is, for example, the presence of tablets to take orders. Now it is a reality for all restaurants, as these devices automate the process of orders. Unlike what happened in the past, when you were forced to take orders exclusively on your own notebook, today you can in fact use these convenient digital tools that, in addition are speeding up the process and can also improve it. The old method, in fact, often gave rise to confusions, errors or permissions in the orders. All this then has reflected on the quality of the service and, consequently, on the reputation of the restaurant. With tablets, however, it is possible to reduce these inconveniences, optimizing the timing and also reducing waiting times, so as to guarantee customers a pleasant and satisfying experience. So if your restaurant does not yet have these devices, you should try to provide as soon as possible. Online restaurant reviews: find out how to improve them! Another very important aspect is that the index of a good digitization of your business is the presence and the use of a software for managing your restaurant. It is indeed a very useful tool for any restaurant manager and will help you improve and optimize the management of your business. One of the most comprehensive manager for restaurants at the moment is Ristomanager. A practical and easy-to-use software that you can download on tablets and PCs and with which you can manage and control every aspect and activity of the restaurant. From the management of the tables, to the supply of the warehouse, to the management of the orders and the staff, everything will be constantly monitored and under control. Restaurant and electronic invoice: discover all the obligations! Using this management software, your restaurant will have no more surprises and you can plan costs, investments and all the necessary actions to improve and grow your business. Restaurant management: discover how to improve it! The program will also allow you to identify strengths and weaknesses, monitor performance and plan marketing strategies. You will also have the possibility to create a customer database, a real historical that you can use for your loyalty activities. In short, certainly an extra gear for your restaurant, especially in a context where digital becomes increasingly important. And it’s not over here. To understand if your restaurant is really digital, you will also have to evaluate your presence on the web,and the existence of portals for the presentation of the activity, social profiles and any promotional platforms, such as The Fork for example. A true digital restaurant has in fact a website updated with the various menus and the right contacts,that is also present on social networks and constantly updates their profiles. And not only that, a digital restaurant is also able to promote itself on the web by making the best use of these resources. 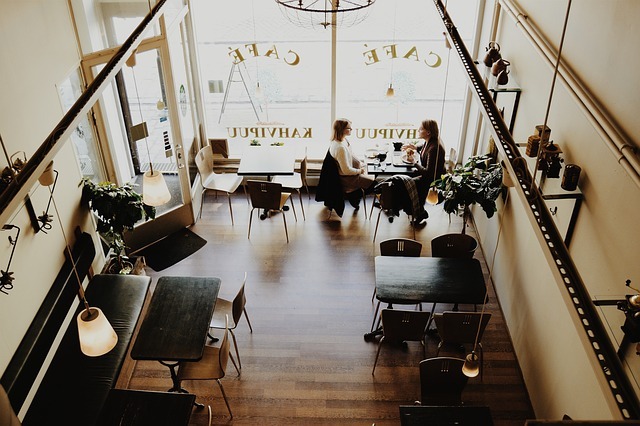 If you want your restaurant to go digital, then consider subscribing to platforms or investing a small budget in the online sponsorship of your business. Head chef of the restaurant: what are your duties? A restaurant, small or large, is still a company and like any organization of this type presents its employees and their hierarchies. So we have the owner, who often plays the role of restaurant manager, the chef who directs the kitchen, cooks and waiters. As the structure becomes more complex , so the other figures take over, which have the task of coordinating teamwork and managing the staff. Head chef restaurant: who is he and what does he ? One of these is the figure of the head nurse of the restaurant. In this case it is a very important role, which surely it is covered by a person who has experience in the sector and especially in the management of the room. In particular, the correct management of the hall staff is one of the most critical aspects of the management of a restaurant and often represents the litmus test. In fact, bad management is manifested above all in a bad service, which is then the crucial aspect concerning the room staff and, consequently, also the head nurse. A defaulting service often derives from disorganization and mismanagement of hall staff. This personnel must be adequately trained in their role and duties and must be coordinated by a person supervising their work. This is just what belongs to the head of a restaurant, which must therefore always have everything under control. A good head nurse, for example, must have an eye and be able to monitor everything that happens in the room, check that every waiter does his job properly and intervene if it is necessary. An important and certainly incisive figure, which must surely have a good knowledge of the sector behind it, but above all of the role of the waiter. Not surprisingly, in fact, most of the capillaries are often former waiters with several years of experience. Only those who know and have experienced this work on their skin, can indeed understand all the problems and be able to solve them if necessary. At the same time, however, the head nurse is a different figure and closer to that of the coordinator than to that of the waiter. Here is a a good head nurse that must also have good organizational skills and leadership skills, so as to be able to coordinate better the work of his staff. The role of the waiter, in fact, is rather delicate and must be managed correctly, as his work is reflected in the service of the restaurant, which together with the kitchen is the heart of such an activity. A poor and rude service, for example, could drive customers away, presentating the image and reputation of the restaurant. At the same time, confusion and disorganization could generate forgetfulness and errors in the orders, thus creating long waiting times and inconvenience to the customer. Precisely for this reason, a good head nurse must also equip himself with the right tools and make sure that everything is controlled. A help in this sense definitely comes from software for restaurants, such as Ristomanager for example. It is a program that can be downloaded to PCs and tablets and allows you to manage and monitor all aspects and activities of a restaurant: from the management of the warehouse, to that of the staff, to that of the orders, the tables until you get there to the possibility of retaining customers. Handheld for orders: find out which one to choose! A software easy to use and very completed , unlike most of the management in circulation, really offers many possibilities to restaurant managers. Ristomanager, in fact, is not limited to automating orders , but is also able to provide information on the performance and quality of the restaurant, identify strengths and weaknesses, allowing it to formulate actions plans. Management of orders: find out how to optimize orders! Using this practical software, the head chief will be able to control everything that happens in the restaurant and this avoid forgetfulness and ugly figures. Within the program you can also build a database of customers, with the history of orders and all the information needed to plan marketing and loyalty activities. In short, a kit that will allow you to optimize and improve the management of your restaurant, so to transform it in a short time into a successful business. Important sources of information and assistance are: UNIQUE DOOR FOR BUSINESSES, CONFESERCENTI, CONFCOMMERCIO and ASL. Even if you have a consolidated experience, something new or secret could benefit you and your employees. there are numerous COURSES OF OPENING BARS AND LOCALS, COURSE OF BASIC CAFETERIA, COURSE OF CAPPUCCINO DECORATED AND LATE ART, ADVANCED COURSE OF CAFETERIA, COURSE BARMAN AND APERITIF. 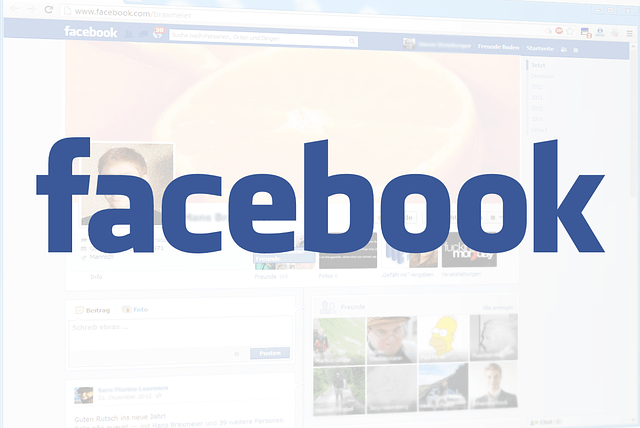 Virtual visibility: FACEBOOK PAGE, GOOGLE ETC. The “virtual social” part of the internet has now become a real hub, for better or for worse, of the “real social” life of many people. 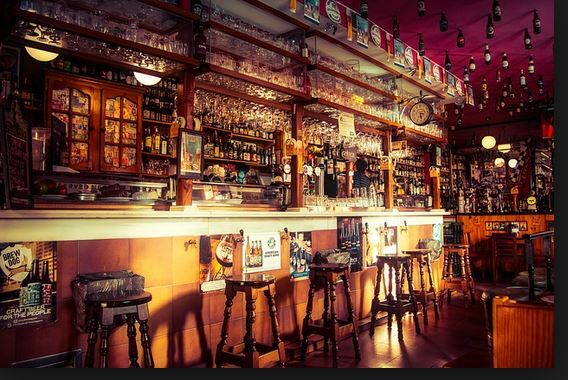 Everything is shared on the Internet, even the opinion on the purchase of a bar (and even much, much more …). 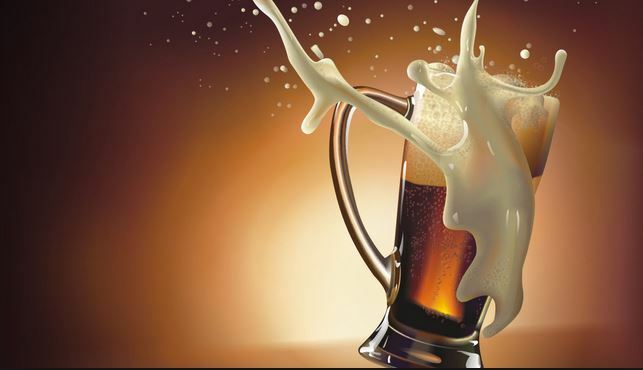 THE REQUEST FOR THE PURCHASE OF THE BAR AND THE RENT. Although starting from the idea that the economic demand for the sale of a bar, pub, restaurant has less certain bases than that for the purchase of a house, we often happened to write as a good evaluation basis could be a request equal to one year of turnover; a request that tends, however, to vary according to the territorial context: it is often higher than the turnover in a large city, often lower in a provincial context. On the basis of this reason we can therefore say that we should be able to find better business than the one proposed. To calculate the value of the “unbeaten”, black. in general, the purchase cost of the raw material is multiplied by three. But is it possible that this black is really done? How to verify it? A 20% of “not beaten” is almost physiological. We must agree on a period of coaching. Tiling is a period in which, after agreeing and perhaps after having completed the purchase, the old owner joins the new, both to introduce it to customers and to support it in the procedures and use of work tools. The duration must be sufficient but not too long for both. If you already have a management software you can find a lot of information, but if you do not like it, we recommend one for your future successes. The success of a restaurant is measured by a series of factors. In addition to the quality of food and dishes offered, which is certainly the first distinctive element for such an activity, we must consider another aspect, which is able to positively or negatively affect all activities. How to choose the manager for the restaurant: why do it? We are talking about management, that is, all the planning and supervision activities that are really fundamental in a restaurant. A successful and functioning restaurant is in fact also a well managed restaurant. On the other hand, poor management will be reflected in every single activity of the restaurant, from the organization of the room and the tables, to the service and supply of raw materials. 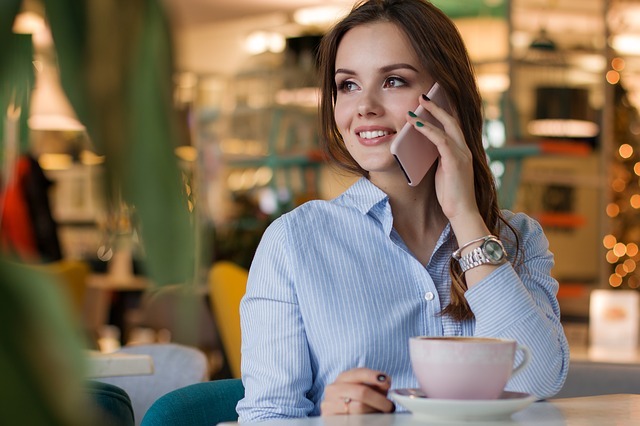 For this reason, if you have just opened a restaurant and you want to make the business TO take off, you will definitely have to rely on a manager who is able and to support you or to take charge of the entire management of the room. It is therefore very important that you choose the right person, because it will be a key role, able to heavily condition the future of your business. Pizza flour: find out which one to choose! It must therefore be a competent person, who may have already worked in the sector and above all has managerial skills and a sense of initiative. Another very important aspect that you will need to consider is that the manager will not have to cover other roles as well. Often, in fact, especially in small restaurants, it happens that the restaurant owner is also the manager. A practice that can go well in family-run businesses, but that can not be followed in more structured restaurants. If you want your restaurant to be successful, remember to always separate and divide individual roles and tasks. Management of a restaurant mistakes: discover the most frequent ones! It may seem obvious but it is not at all. Many owner of the restaurants, in fact, underestimate this figure to the point of entrusting the role to a friend or a person who is simply passionate about the sector but without skills. The role of the manager is a very important role and can not be neglected or entrusted to the first that happens. In fact, in addition to supervising all activities, the manager must also plan costs and investments. A good economy base, therefore, is really fundamental. Without all this, your restaurant could take a big risk and quickly find itself on the verge of bankruptcy. A good manager, in addition to having a solid background, must also be very organized and, above all, know how to work with the right tools. In your selection, then try to prefer people who for example have already made use of restaurant management. To date it is in fact unbelievable to consider being able to effectively manage a restaurant without relying on this kind of software. Ristomanager, for example, is one of the best and the most completed on the market today. A program that you can download comfortably on your tablet and your PC, and thanks to which you will be able to monitor and plan every single activity: from the management of the tables to the orders, to the management of the personnel, the warehouse and even the customers. 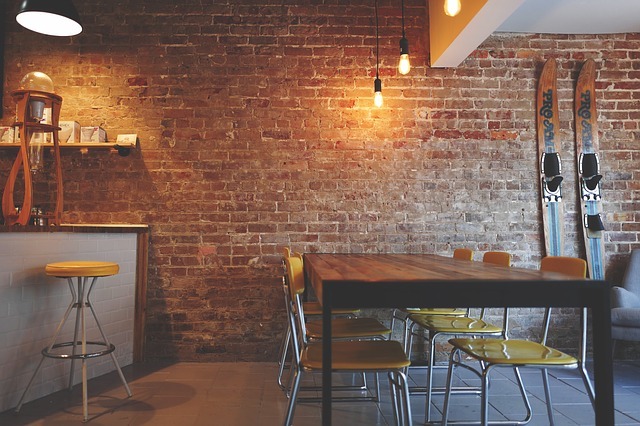 Command restaurants: find out how to best manage them! Using Ristomanager nothing escapes your control of the restaurant manager. You can organize all activities better, optimizing time and resources and avoiding nasty surprises. Your manager will have more help and can plan costs and investments, as well as monitor performance , identifying strengths and weaknesses. In short, a very essential tool and that every good manager should know how to use. Finally, a quality that can not be lacking in a good restaurant manager is certainly the full resource. This means that the manager of a restaurant must also be able to dare and look beyond, assuming investments and initiatives that can revive the restaurant. A good manager is not just a good accountant, but he is a full-fledged entrepreneur, capable to grow the restaurant, and therefore able to provide new tools and ideas. This does not mean that the manager should be reckless, but only that he should has initiative and being able to intuit the changes, and anticipating them. The restaurant is a full-fledged company and, as as that one , must be managed according to precise criteria, evaluating and planning costs and investments as well as possible actions to improve their organization. A successful restaurant is in fact the first restaurant that works and is therefore well managed and well organized. On the contrary, poor management causes irreparable damage, especially in the long term, which, in addition to spilling over the reputation and image of the restaurant, risks leads the business towards on an insured bankruptcy. For this reason, before arriving at a point of no return, it is good to identify any negative signs or weaknesses of the restaurant, on which to interfere before being too late. These signals concern different aspects of management, ranging from management of the kitchen and the supply of the warehouse to the management of orders . However, there are some more important than others that, if is present, are an indication of the need for a quick change of course. Negative restaurant management signals: the most worrying thing. Beyond the quality of raw materials, whose research should be an obligation for any restaurateur, supply could also be a problem. In reality it happens rarely,and sometimes the kitchen finds itself lacking the necessary ingredients for the preparation of the dishes. This happens because a correct and precise supply of raw materials has not been made. This is the typical situation in which the customer is pleased to order something and is told that the dish is not available or is sold out. It must be said that especially in restaurants at km 0, politics is just this: make available a few dishes and avoid frozen products or stored too long. However, in the rest of the cases, the problem is due to poor management, which could be solved with a little more attention and an automated management of the warehouse. Warehouse management: find out how to best organize it! While the first point has an impact on the kitchen and the dishes that are served, the management of the orders heavily affects the service. An incorrect order or a forgotten order in the all orders creates in fact considerable inconvenience to the customer who, in addition to not feeling pampered, has the impression of being in a restaurant managed in an approximate and superficial way. The perceived image of the service is negative, which leads to a removal of customers from the restaurant. Not only that, too much confusion, due to the lack of organization and coordination, can lead to overspending or long waits and, consequently, once again to criticism and negative reviews. Also in this case the problem depends on poor management, which could instead be facilitated and optimized by resorting to some restaurant management. One of the best currently on the market is Ristomanager, a complete and easy-to-use software that allows you to manage and organize every aspect and activity of the restaurant: from the management of the tables to the warehouse, and to the management of staff and orders. Every aspect will be under the control of the manager or owner, who will be able to improve its management and bring the restaurant to success. 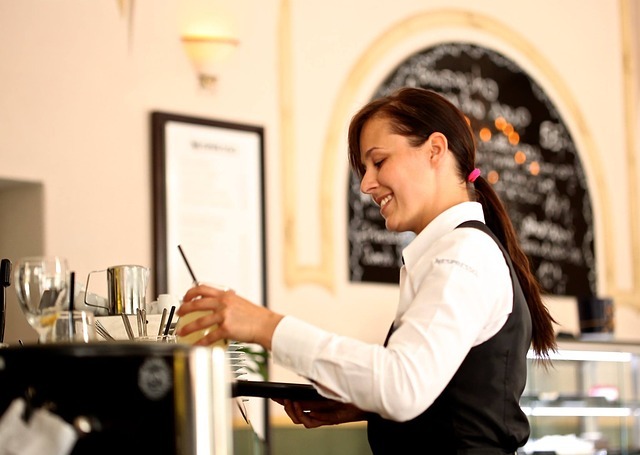 Troublesome restaurant management problems: find out more! The management of the hall is very important. However, beyond the organization that can help improve the service, it is important that the hall is managed by competent and trained staff. Another negative signal that indicates a bad management is therefore the presence of an inadequate and unkind staff. If the staff is not properly informed about their role and duties, they will hardly be able to do their job well. First of all, therefore, it will be necessary to hire only competent personnel or to eventually form the existing one. Subsequently it will also be necessary to manage and supervise it in the most appropriate way, which can be done once again using a good restaurant management system. Ristomanager, for example, offers among its various functionalities also what is relating to personnel management. In this way, it will be able to subdivide the roles well and precisely define the tasks, also avoiding errors and overlaps that could only generate confusion and the worse of the service.